Diamonds are exquisite but complex. Discover everything you need to know and more here. Where can I purchase Sylvie Collection Jewelry? You can only purchase our jewelry from authorized Sylvie Collection retail stores throughout the U.S. or Canada. You can visit our store locator to find a retailer nearest to you. Where can I purchase Sylvie Collection jewelry if there is no authorized retail store near me? If there is not a Sylvie Collection retailer in your area and you do not wish to purchase your ring through an online retailer partner, the Sylvie Collection may be able to work with your local jeweler to try and accommodate you. You can also message us directly through our contact us form for more instructions on how to obtain the pieces you are looking for. Can I purchase Sylvie Collection Products Internationally? Sylvie Collection designs are currently only sold in the United States and Canada. For more information, you can click on the “tell me more” button next to the product you are interested in or message us directly through our contact us form. How can I get pricing and information on Sylvie Collection Jewelry? For pricing information and availability, click the “tell me more” button next to the product you are interested in or you can visit our store locator online to locate a retail location near you. If you have questions on certain pieces they may not carry, you can also fill out our contact us form or ask your retail sales associate to contact the Sylvie Collection directly, and we will answer any questions you may have. Sylvie Collection offers jewelry in platinum, 18k or 14k white, yellow or rose gold. Can a Sylvie Collection piece be modified for my needs? We will always try to fulfill special requests for our customers. 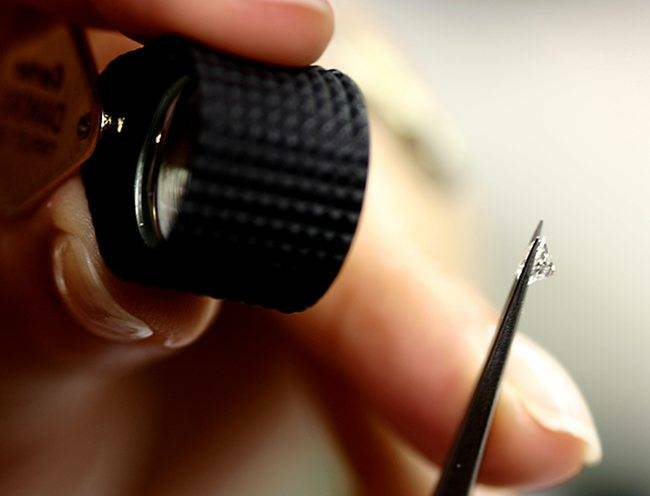 It is very important to note that our manufacturing facility can customize any of our styles to fit diamonds and gemstones of any size or shape. For more information regarding special orders or modifications please contact your nearest authorized retailer or write us a detailed message using our contact us form. What should I do if a Sylvie Collection retailer near me does not carry the piece I'm interested in? Not every authorized retailer carries our full line of jewelry. However, any of our authorized retailers can obtain the style of your choice. Just have your sales associate at your nearest store contact Sylvie Collection for information or simply fill out our contact us form letting us know which piece you are interested in. Do Sylvie Collection rings come with matching wedding bands? Every Sylvie Collection bridal ring is designed with a wedding band to match. All wedding bands are flush fit. Click here to view the full collection of wedding bands and their matching engagement rings. Are all the Sylvie Collection designs shown on the website? The designs shown on the website are just a sampling of what the Sylvie Collection has to offer. New designs are added to the collection annually. For more information on new and different designs please contact your nearest authorized retailer. We also encourage you to sign up for our newsletter for updates on product releases, news and trends. Can I purchase an engagement ring from sylviecollection.com? Purchases must be placed through an authorized Sylvie Collection retail store, you can find the store nearest you by visiting our store locator. For more information, you can click on the “tell me more” button next to the product you are interested in or message us directly through ourcontact us form. Where can I purchase my center diamond? If you do not have a center diamond for your Sylvie Collection engagement ring setting, you can purchase one through your preferred jeweler. Almost all our Sylvie Collection authorized retail stores sell diamonds in any shape and size. The choice of the center stone’s shape, size and price is entirely up to you and your partner. It’s our job to make your center stone shine and come to life with our unique and one of a kind settings that can be customized to fit any stone you choose. The Sylvie Collection guarantees quality and excellence in all their pieces. To extend the life of your Sylvie ring, follow these simple every day care tips. Should something happen, items requiring repair should be brought to the original location of purchase. Your original authorized retail partner can offer you the most help and assist you in taking care of your Sylvie ring. If you are no longer located near the retailer you originally purchased from, you can always visit our store locator to find an authorized retailer near you who can assist. Who should I contact if I’m interested in employment opportunities? I'm interested in becoming an authorized retail partner. The Sylvie Collection has many opportunities available throughout the U.S. and Canada. We would love to work with you. For all authorized retail partnership requests, please fill out our retail application form. A Sylvie Collection sales representative will contact you directly upon receiving your application. What if I have additional questions that aren’t answered here? For additional questions please write us a detailed message using our contact us form and someone will respond to you within 1 to 2 business days.